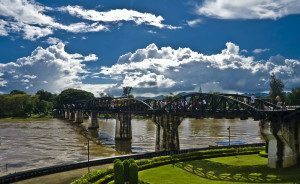 The River Kwai tour is a worthwhile destination where is a site of the World War II history surrounding the Thai-Burmese border. The tour includes the notorious black iron bridge, along with the “Death Railway” worked on by thousands of Allied POWs. 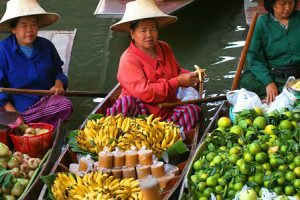 Damnoen Saduak Floating Market is home to a quaint market which cuts through a canal and a small community. There are vintage cafés, restaurants, wooden shop and old style residences. The shops sell artsy souvenirs, books and Thai sweets. 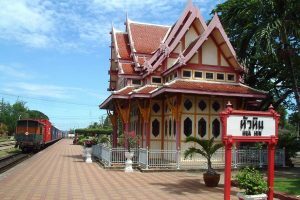 Hua Hin and its neighbors became a popular destinations under the modernization policy by King Rama 5 who put down railroad system in Siam. Visit the impressive royal railway station and follow the trail of the track that gave birth to many palaces along the way. Visit the stucco German Baroque style at Phra Ramratchaniwet which King Rama 5 built and used mainly for relaxation. Continue to Khao Luang Cave, the unusual and interesting temple built in the cave houses an ancient Reclining Buddha. 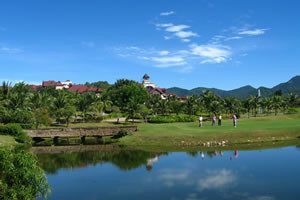 Visit the Pra Nakorn Khiri built in 1860 by the King whose name is so popular in Broadway “The King and I”. Take the cable car up and visit inside where King used to work and live. Lunch is included at local restaurant.